A-list actress Emma Stone was announced as the face of Louis Vuitton last year after receiving her first Oscar for Best Actress. While we have been seeing the star in various Louis Vuitton ensembles, and even an editorial for W Magazine, Emma's first ever campaign for the French label has just been released. 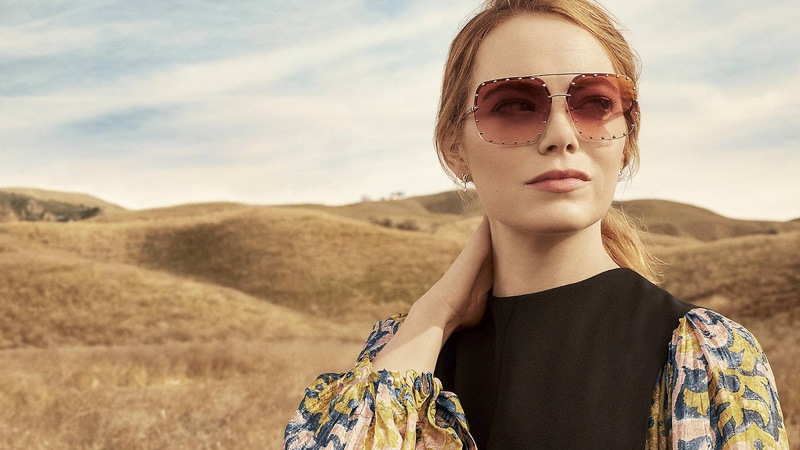 The pretty blonde is featured in the Spirit of Travel 2018 Campaign, and heads to a Californian desert with photographer Craig McDean. Flaunting the designs of Nicolas Ghesquiere, the actress wears Louis Vuitton's printed dresses and carries the Capucines Handbags. Sophisticated and elegant, Emma serves as the perfect ambassador the label, and is ever so gorgeous in her debut Louis Vuitton campaign.